It takes only one second to change someone`s life. But it will take a whole life to regret about it. And in the end, you will keep asking yourself, why did not you wait another second, to pull over the car to reply to someone`s text message. A future that is shattered for a little boy; a family is killed in a car accident; the full life of a successful career woman ends within a second; a father loses his life – all these tragic events are caused by people who text while they`re driving. From One Second to the Next is one of those documentary films that is difficult to watch, or at least, to watch without tears. It`s stories of serious traffic accidents caused by the selfishness of those who text while they`re behind the wheel. In Werner Herzog`s documentary film, all these terrifying stories are told by the perpetrators and surviving victims. This doc film can be used as a bible, or as an example for those who have just started driving. 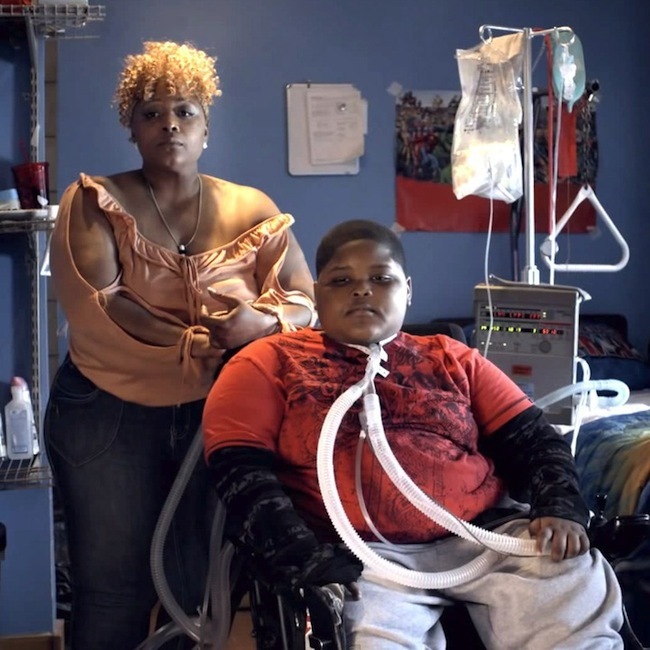 It`s heartbreaking to see the first part of the story, when a single mother must take care of her son, Xzavier, who will never have a normal life again, because of someone who was too busy looking at his phone and not paying attention, hits her little boy. By the time the driver realizes he is there, it was more than enough to ruin the entire promising future of a boy, who could have been anyone he wished to be. It is also heartbreaking to see how Xzavier`s sister shares her story of how, within a second, she noticed that she was no longer holding her brother`s hand. All this because of a car, who takes her brother away, not only from her, but from his future as well, leaving him forever disabled….